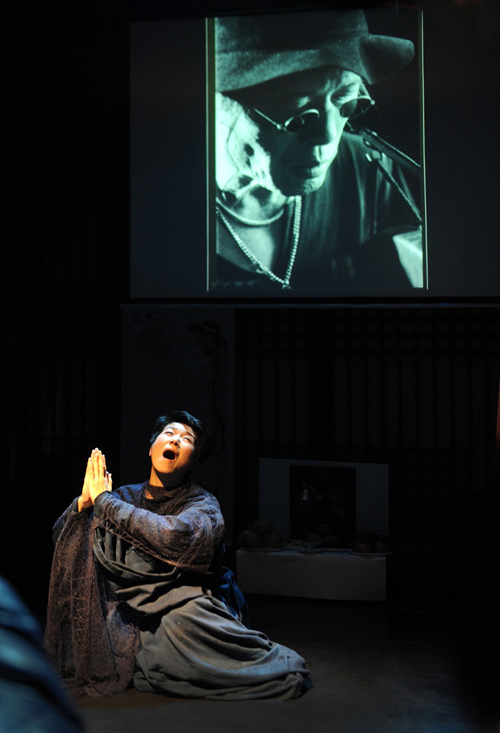 Music and Butoh of TOMOE SHIZUNE & HAKUTOBO will be special performed at the 9th Kim Dae Hwan Memorial Day 1st March, 2013 in Seoul, Korea. Appearance：Gang Tae-hwan, Choi Seon-bae, Lee Kwang-Soo, Kwang Eun-il, Heo Yun-jeong, Jang Sa-ik, Go Seok-jin, Jin ok-sub, OKURA Shonosuke, TOMOE SHIZUNE & HAKUTOBO, and Japanese friends etc..
Percussionist. Plays using his own unique "triple stick" technique of holding three different types of sticks in each hand. His performance is characterized by a combination of extreme rigor and stoic fierceness. When asked about his profile, he flatly declares, "Black Rain. Kim Dae Hwan. That's it." In the 1960s, he was a member of South Korea's first Korean rock group ADD4. Then he formed a band called the Kim Trio, which included Jo Yong-pil, who is known in Japan for his hit song, "Return to Busan Port." 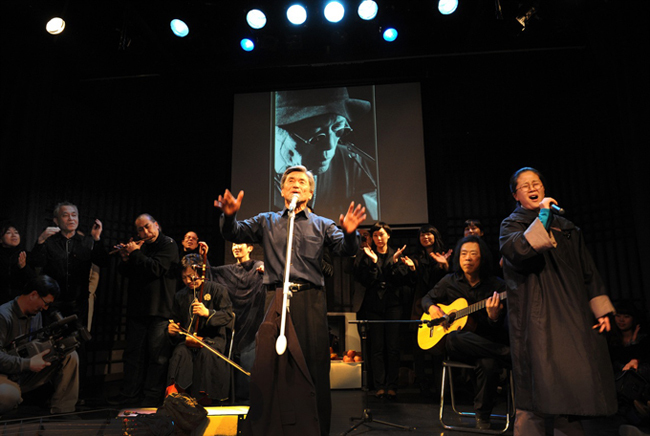 Kim, who served as the first president of the Korean Group Sound Association in the 1970s, consistently led the South Korea's music scene. He is also in the Guinness Book of World Records for engraving 283 characters from the Prajna-Paramita Sutra on one grain of rice. 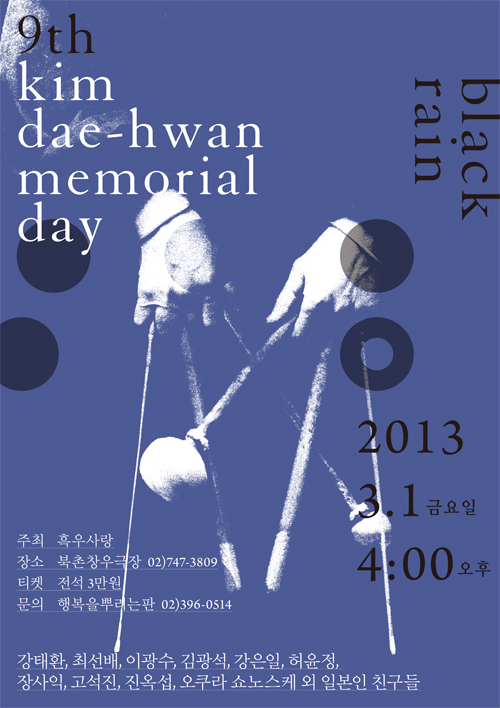 There is a museum in Seoul at which his calligraphy work can be viewed. Kim passed away in 2004.